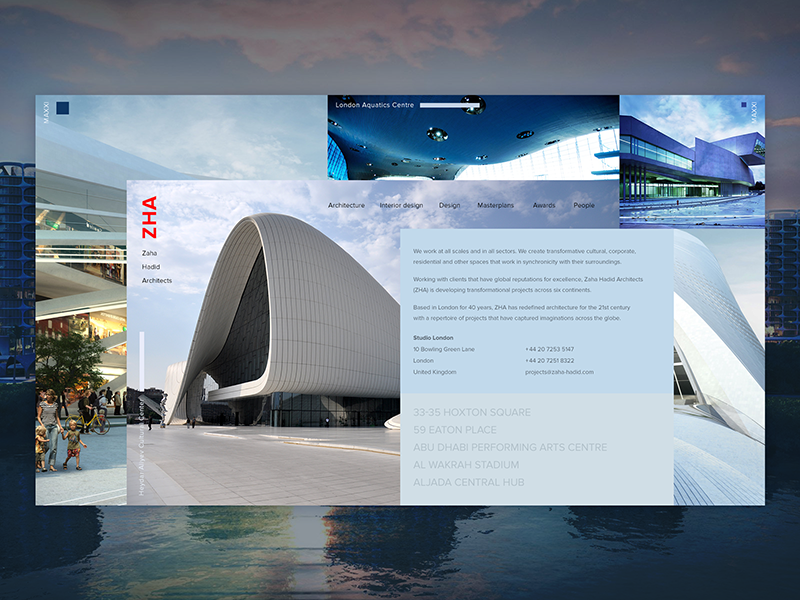 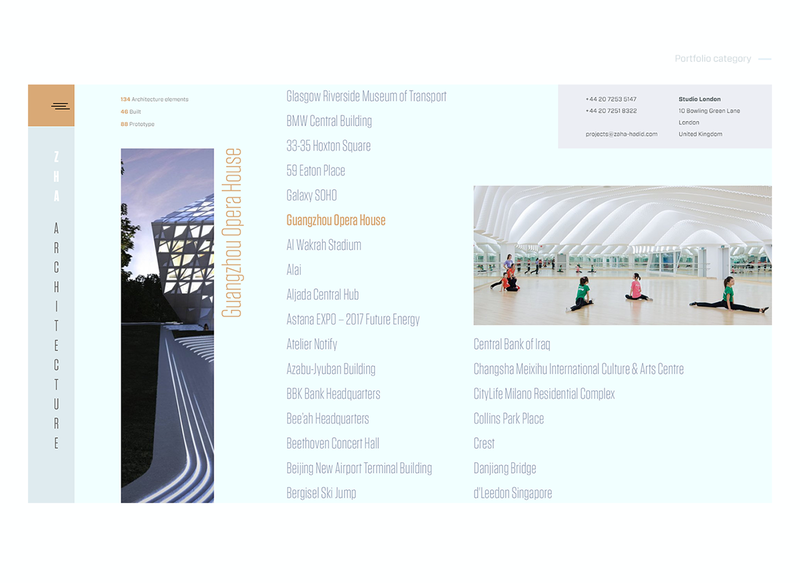 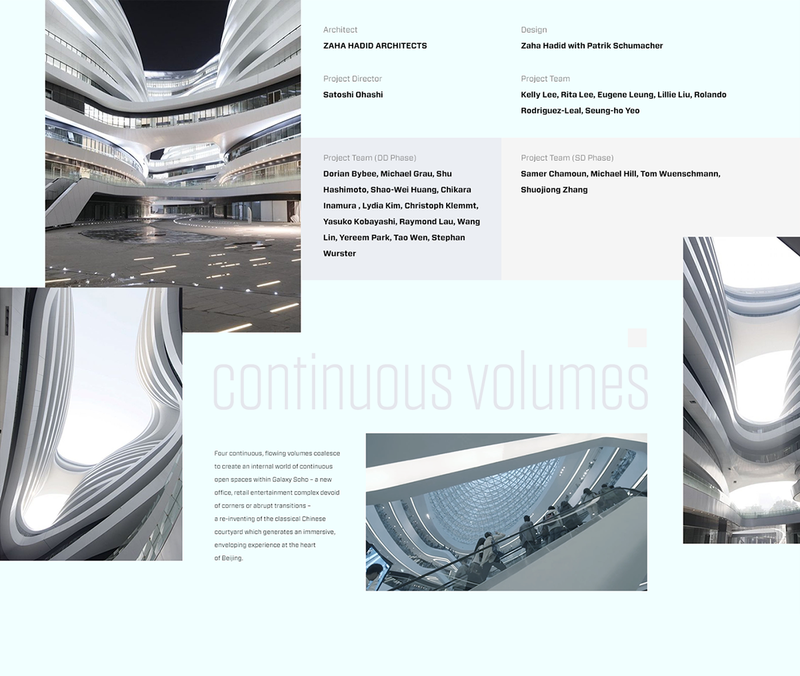 This project is an attempt to answer how should look and feel a website for one of the most vivid phenomena in architecture of the late 20th – early 21st century. 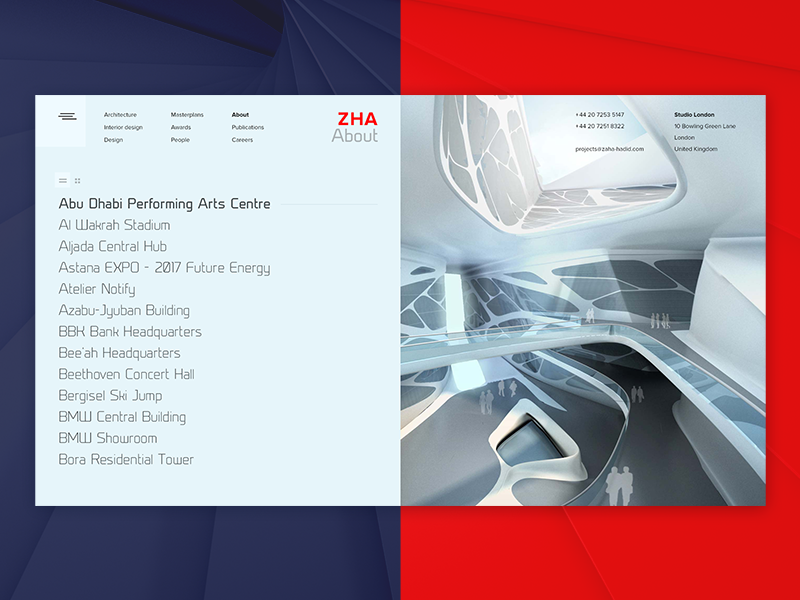 Zaha Hadid Architects (ZHA) have their own unique architecture vision. 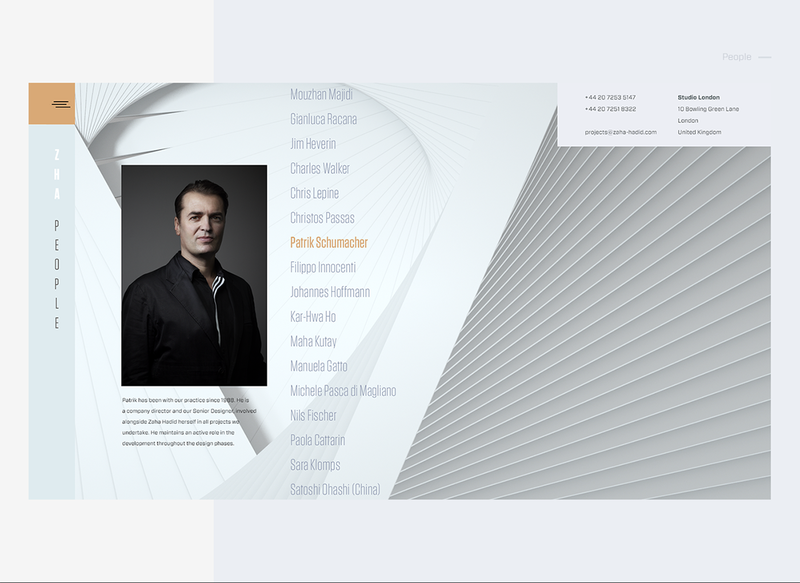 The way they work with form and material is really fascinating. 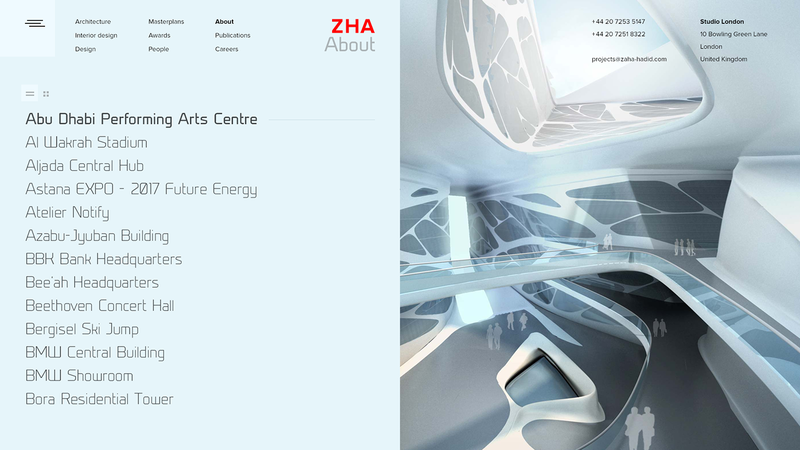 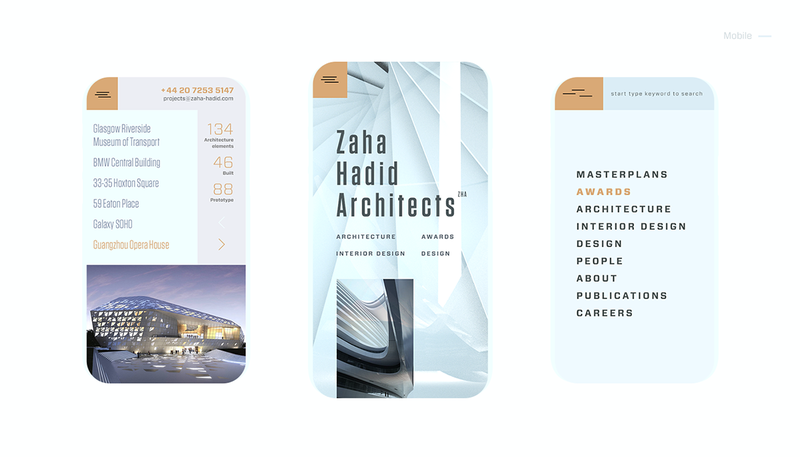 I consider Zaha Hadid works as a first step to the architecture of the future. 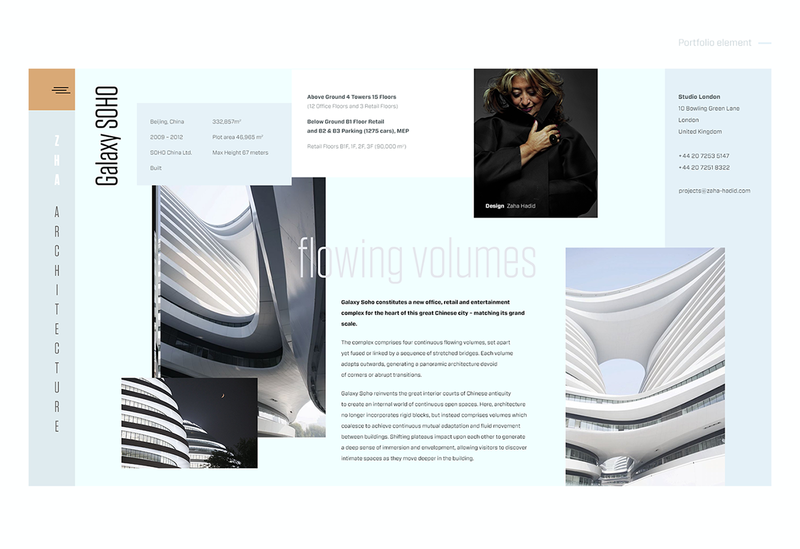 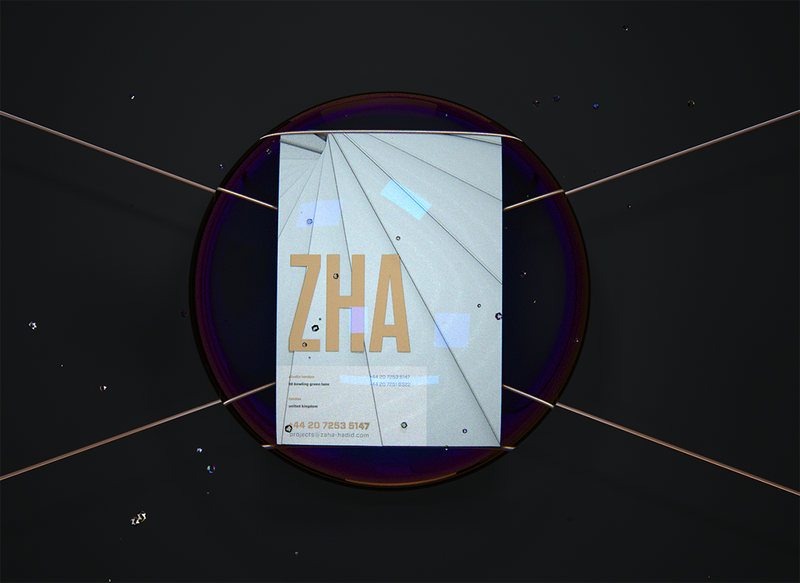 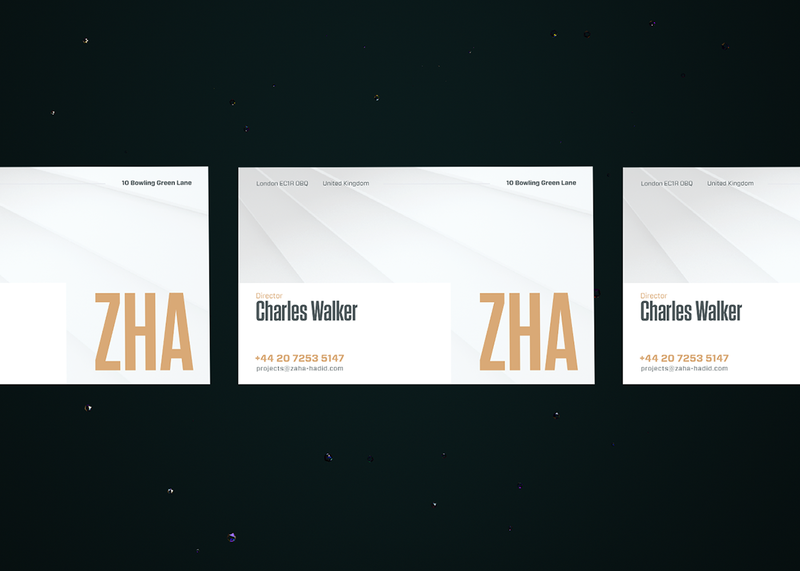 So I wanted to bring this aesthetics and approach to form and space to the web.